Hello, everyone. I’d like to introduce you to a friend of mine. His name is Noble Rot. Mr. Rot and I go back almost two years. 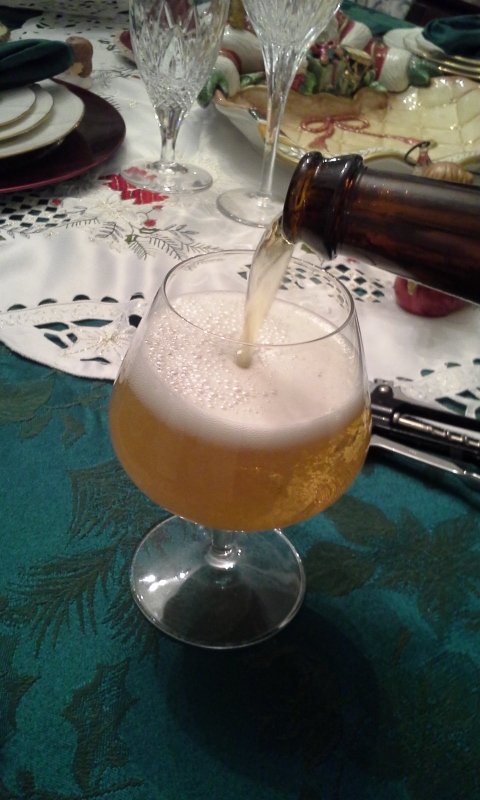 He is a saison, a french style farmhouse ale. This particular fellow is made with white grapes, and has a pleasant sour note that compliments the sweet grainy flavor and hints of pit fruit. I met him two years ago shortly after I finished the final revisions for The Curse Merchant. I’ve been saving Mr. Rot for a special occasion, one kind of occasion in particular. 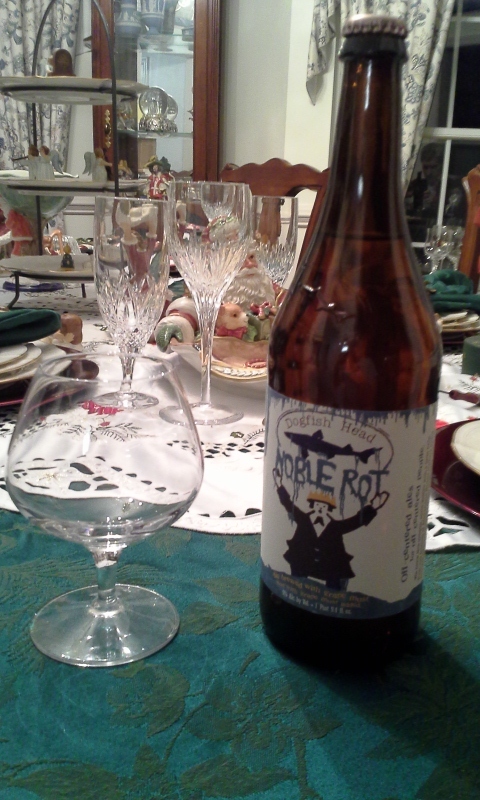 Mr. Noble Rot is my celebration beer for when I signed my first book with a publisher. Whoa there, Sloan! Why are you pouring your celebration beer? Simple, dear reader… which brings me to my news. The Dark Choir series has just been picked up by the literary marauders at Curiosity Quills! Hence the hold-up on the release of Curse Servant… both books were under consideration by CQ, and I’m happy to finally announce they have found a home. What does this mean for you, dear reader? It means that both books will soon become available in both digital and print editions. It also means that I’ll be able to devote more of my attention to plotting, drafting, and revising new works. I’ll be in touch soon with more details, including the re-release of Curse Merchant. In the meantime, I’ll be enjoying a snifter or two of Mr. Noble Rot and hammering away at my latest short fiction. Congratulations, we are so proud of you and for you. Thank you both so much for your continuing support! It keeps my tush in the writer’s seat!